I spent a measurable amount of the early 90's playing Contra on NES. Admittedly, I lacked the manual dexterity at the time to beat the game without using the Konami Code, but now I can take another swing at it on Android. 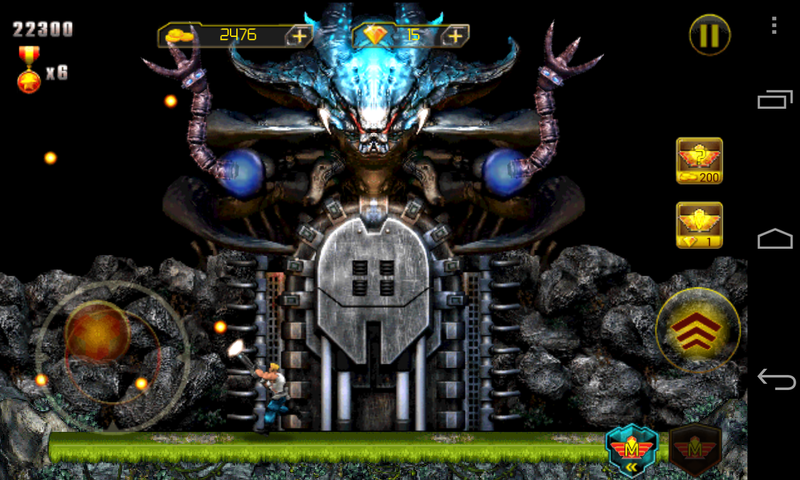 Contra: Evolution is the same game it was in the early 90's, but with a few extra elements. 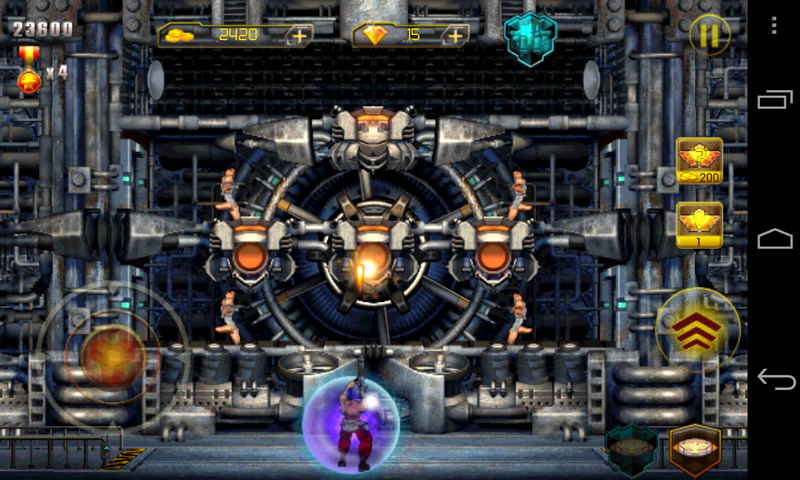 Contra was indisputably one of the finest shooters of its era, but does it translate well to the modern mobile ecosystem? Contra is a title from the NES/arcade era, so the controls are simple. That's a good thing for a mobile device that relies on a touchscreen. Fewer buttons mean fewer things cluttering up the screen. 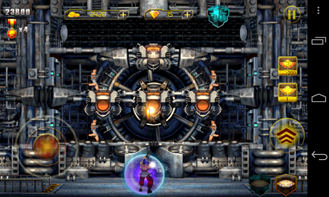 Although, there's still a lot of stuff on the screen in Contra that has little connection to controlling your character, but I'll get to that later. You've got three control schemes to choose from: thumbstick, movable thumbstick, and classic d-pad. The basic thumbstick works okay, but it can be a little hard to get the diagonal aiming right as you're blasting though a level. The movable thumbstick seems like a good idea at first, but the way it follows your finger actually makes the controls more touchy. 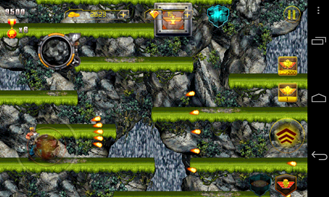 Anywhere you press in this mode is the center, but even a tiny movement can make you duck or run in a direction you don't want. The stationary thumbstick is just easier to use. This game would be ideal for the d-pad except for one issue – it's too big. 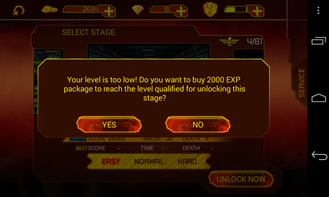 There are a number of levels (as well as almost every boss battle) where your character can end up in the corner of the screen. The d-pad covers more screen real estate, so your fingers are in the way more. 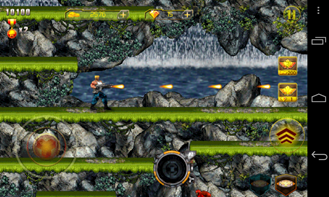 Contra: Evolution does away with the old-fashioned fire button – you're just firing all the time. I do not object to this because it's Contra, and you should always be firing anyway. The jump button is still intact, though. Maybe one day we will perfect automatic jumping, but today is not that day. The button is big, and appropriately placed. Contra itself is a great shooter. Most of the levels are side-scrolling affairs with a ton of enemies and projectiles to dodge. The game occasionally spices things up with a third-person over-the-shoulder level. 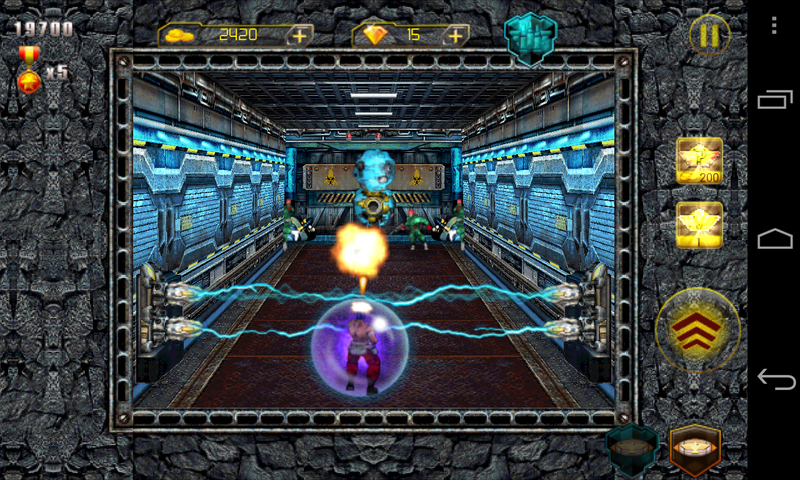 You always start with a simple single bullet weapon, but there are abundant power ups with new weapons. However, death resets your weapon to the default. 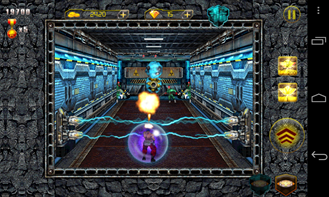 Each level takes a few minutes to complete, not including the boss battle. 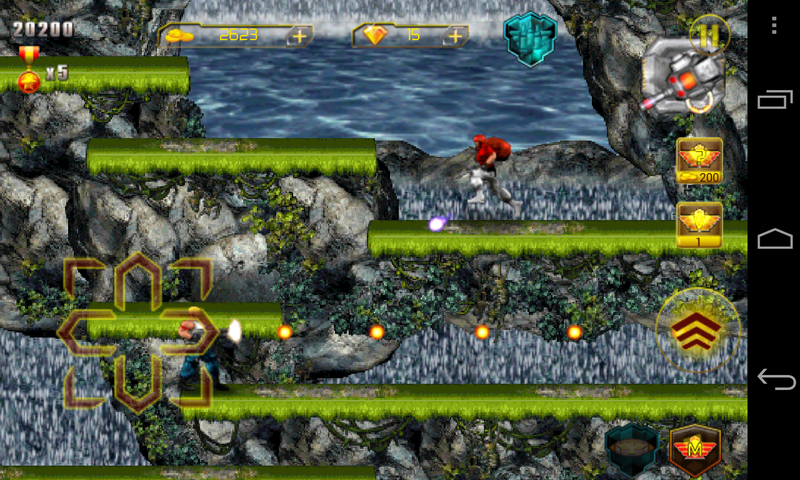 Contra: Evolution moves along at a pretty brisk pace, and it's still fun to play. Of course, that assumes you're any good at Contra. It's still a pretty unforgiving game that starts you off with just five lives. 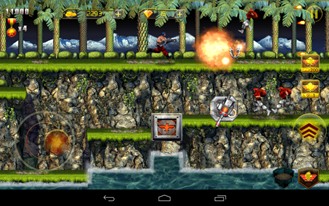 Contra: Evolution adds a few gameplay mechanics that purists will surely despise. There is a leveling system that increases your characters stats as you gain experience. You can increase your lives from that measly five to more manageable numbers. 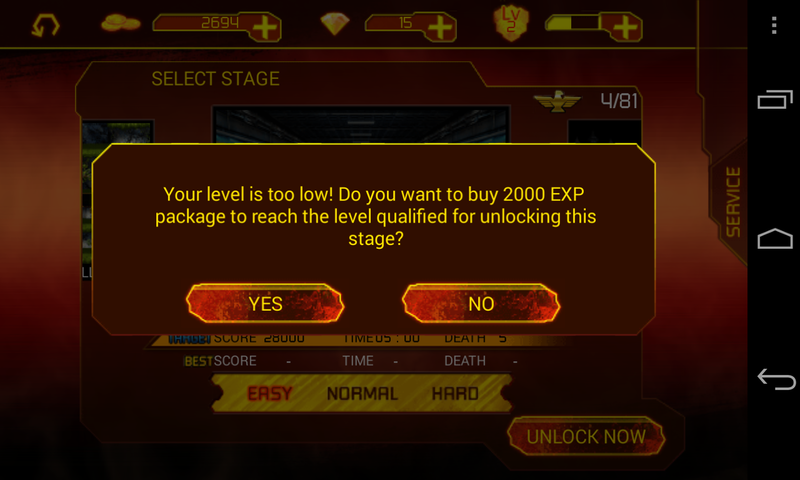 Gaining levels also unlocks missions in "Mission mode." Basically, you can pick the stage you want to play. There is still an Arcade mode for the classic experience, though. 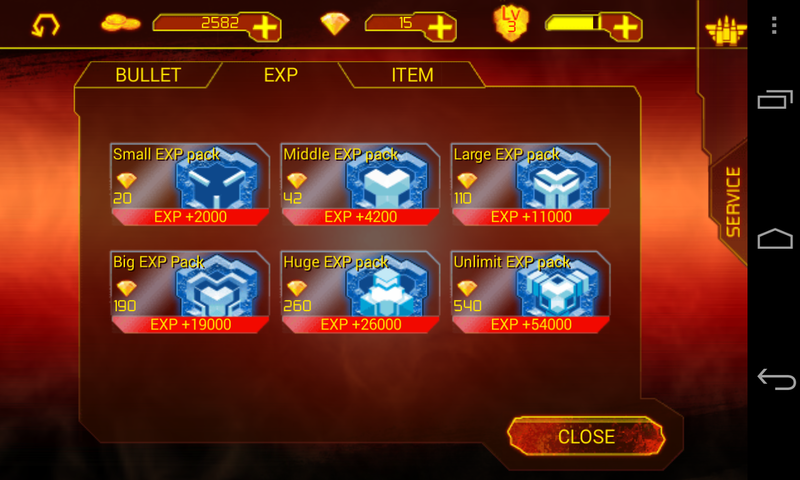 The other thing that's new is the in-app purchase system. There are a lot of IAPs. Those levels from above? Yeah, you can buy your way to the next one. Want better guns? Buy some from the armory. Need a boost in the middle of a level? Buy one. There are several buttons on the screen dedicated to selling you stuff, and that's profoundly annoying. You've got the weapon select buttons, a pair of random upgrade purchase buttons, then the gold and diamond counters are up top. I'm not opposed to the idea of adding optional IAPs, but this feels excessive and they clutter the UI. 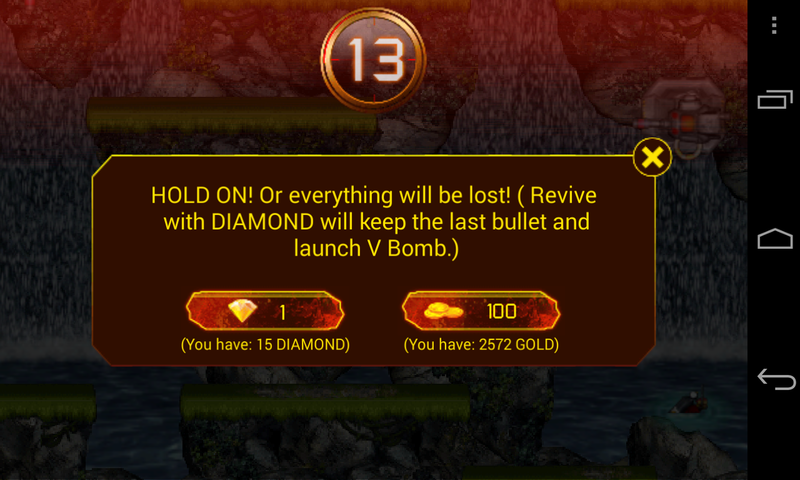 I actually rather like that I can pay a little gold to revive myself if I run out of lives (it turns out I'm not much better at the game than I was 20 years ago). The IAPs are just very prominent – I feel like they're in the way of enjoying the game. 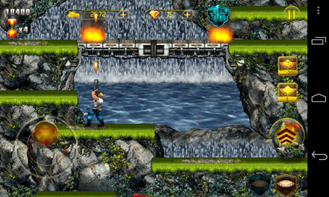 Contra is a classic game with very basic graphics. 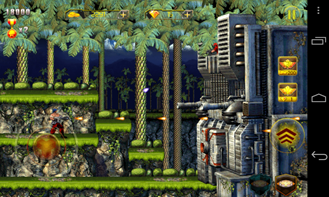 Contra: Evolution doesn't throw out the old aesthetic, but it does clean up the rough edges a bit – I mean, literally, there are fewer rough edges. 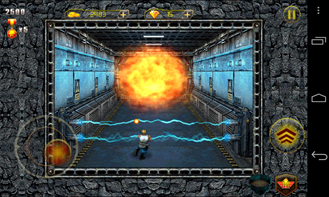 The pixelated look of the old game is gone, replaced by smooth lines and more detailed textures. The animations in the game are a bit more refined, as well. The backgrounds have movement in them and can be pretty cool to look at in between shooting things. The developers didn't go overboard with any of this. 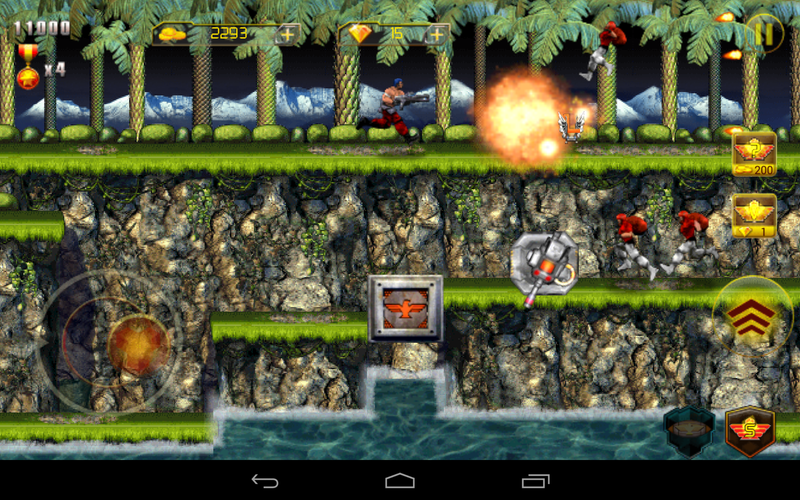 The game is still recognizable as Contra, just a bit more crisp. I think the visual transformation is overall successful. 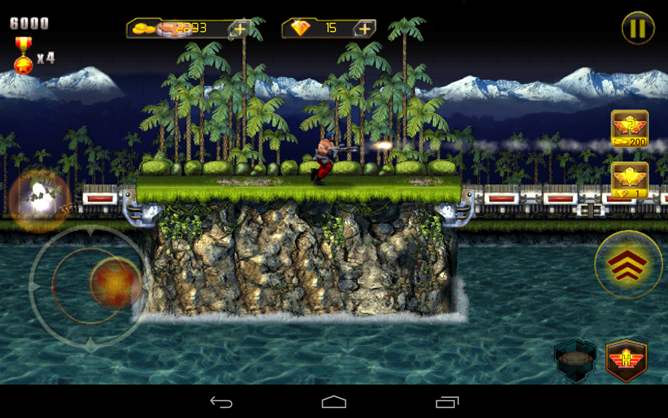 Contra: Evolution is somewhat enjoyable in small doses, but I have a few problems with it. 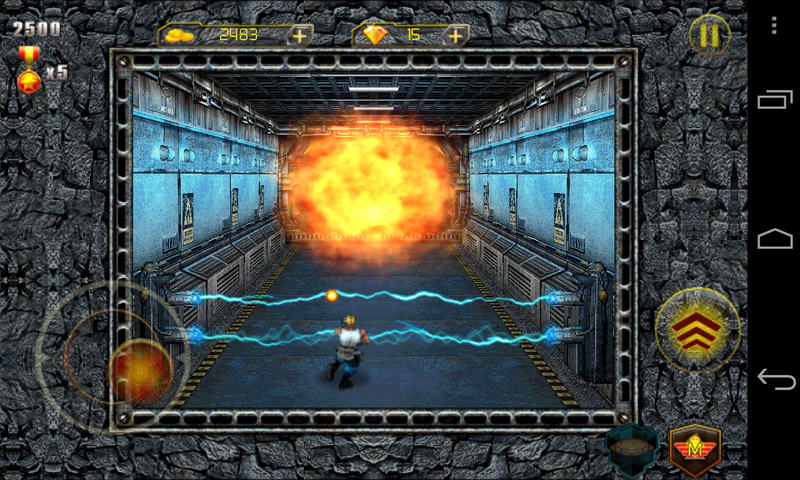 The degree to which in-app purchases are pushed feels excessive to me – even more so than something like Asphalt 8. And for some reason, I can't get Helium backups to work with this game, so anything bought is stuck on one device.This game lacks tact when it asks for your money. 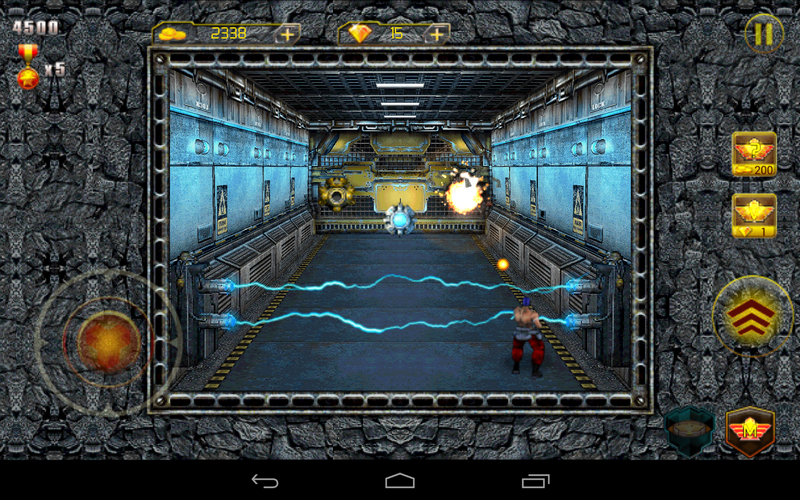 Additionally, the controls are not great, but I don't know if the developers really could have done anything about that. Well, controller support would have been nice, I suppose. Visually, I like Contra: Evolution. It's the game I remember with a new coat of paint. I just wish I liked the rest of it as much. 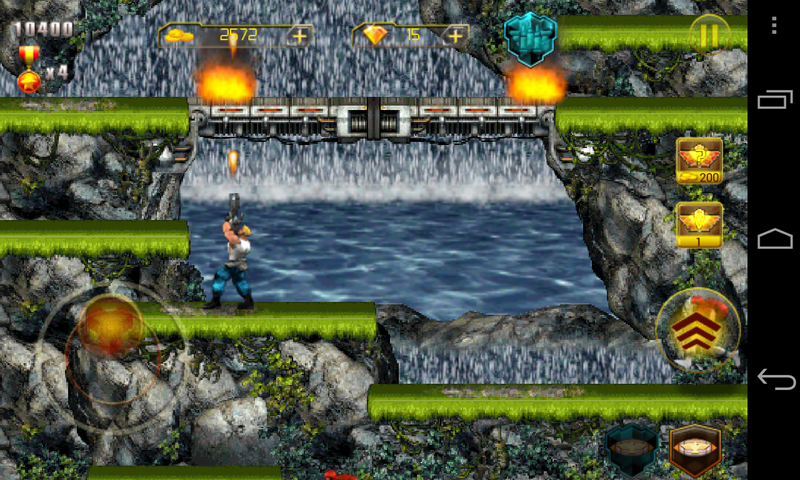 If you love Contra, you can spend $0.99 for the nostalgia. 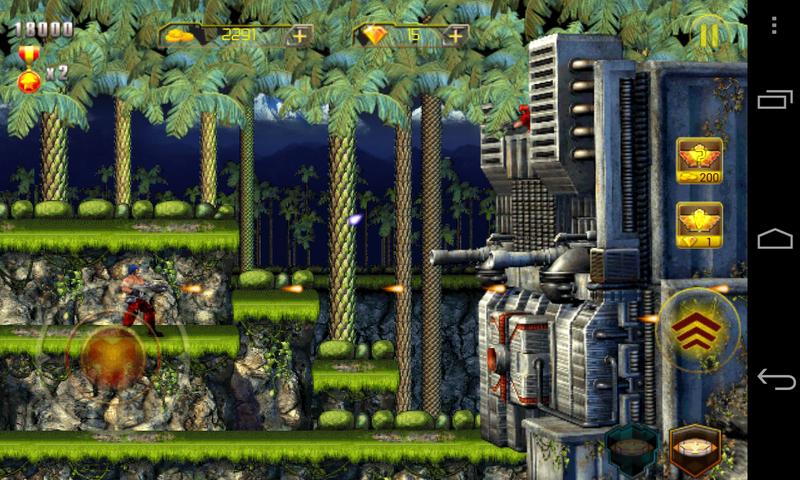 If you really like side-scrolling shooters, you could also justify the purchase. For everyone else, you should probably skip it.